’m officially home from a wonderful long weekend at San Diego Comic Con, also known as nerd nirvana. I saw a lot of cool stuff and geeked out about a lot of things, so bear with me as I recap a few of them. Yup, they released a clip from the upcoming one-off special episode, and it is awesome. 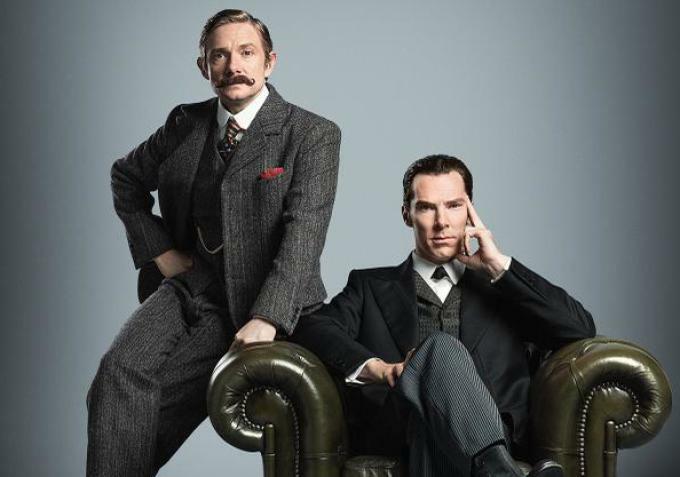 However, the Sherlock team did announce that the special will screen in cinemas as well as air on television, and it was once again stressed that “the aim is to get closer and closer” when it comes to the UK and US premiere dates. For everyone waiting on news of Season 4 though, well – we’re going to have to be patient a little while longer. Though Moffat stated that they knew what stories they wanted to tell in the next full season of Sherlock none of the episodes have been written yet. So, the wait continues.